Juventus are reportedly planning to open talks in January over a swoop for Juan Mata, with his future at Man Utd under serious doubt due to his expiring contract. Despite significant competition for places in the final third, the 30-year-old has made 10 appearances in all competitions so far this season, scoring twice and creating one goal. Given his experience, leadership and technical quality, Mata surely remains a key figure in Jose Mourinho’s plans, but with his current deal set to expire at the end of the season, it has raised question marks over his long-term future at Old Trafford. According to the Evening Standard, Juventus are poised to make their move in January to reach an agreement to secure the Spaniard on a free in the summer, and yet again it shows great transfer awareness that they’re ready to swoop for the talented playmaker. It could be argued that coach Massimiliano Allegri has more than enough quality and depth in that department already, with Cristiano Ronaldo, Paulo Dybala, Federico Bernardeschi, Mario Mandzukic and others all available to him in the attacking positions. With that in mind, it could perhaps raise concerns on Mata’s part that he might struggle for playing time in Turin, and so whether or not that’s a factor which puts him off the switch remains to be seen. Nevertheless, what Juve do offer is a chance to win major honours as well as allowing Mata to flourish in Italy where his technical class, tactical know-how and all-round game could well be suited. Time will tell though if United offer him a new deal to convince him to prolong his stay in Manchester. 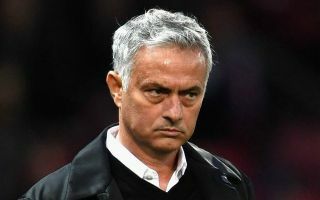 Given he will be able to speak to other clubs from January onwards, Mourinho will undoubtedly hope that the club hierarchy get on with it sooner rather than later.